Eve Oldham has been a producing professional artist since 1960. She has been involved in many facets of design, art direction, commercial illustration and the creation of fine crafts through her own gallery, Notchwood. Though she is most prominently known for her impressive collection of 100 interpretive portraits of distinctive women, her richly textured paintings encompass all manner of media and a full range of subject matter including still life and landscape. Her work has been exhibited in numerous solo showings honoring the artist. Among the most impressive of these exhibitions were those in the Birmingham, Alabama Botanical gardens in 1990, the Juckett Gardens showing in Louisville, Kentucky in 1988 and her "Children Of The Heart" master exhibition in the Tennessee State Museum in Nashville, Tennessee in 1987 hosted by the Tennessee Arts Commission and Governor Ned Ray McWerter. In more recent years, annual solo showings at the exclusive Governors Club of the Palm Beaches in Florida during high season have brought her work to international attention. She now has portraits in several private collections abroad. 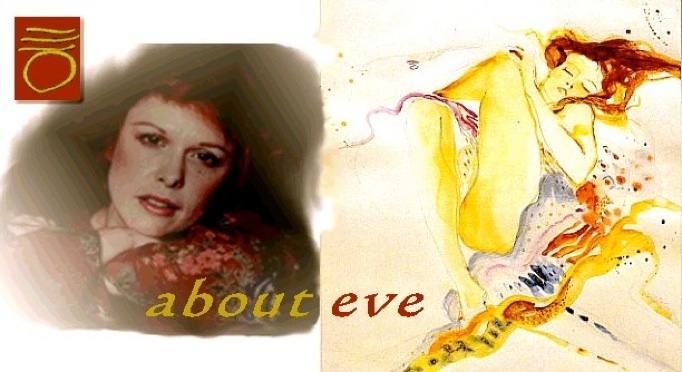 In the spring of 1996 Eve Oldham was featured at a private preview showing of some of her finest work at Mar-a-lago, Donald Trump's Palm Beach Resort and Estate. Much earlier in 1971 the artist's work began to be well recognized both locally and around the Southern Region, by virtue of her appearance at the much beloved Plum Nelly Clothesline Art Show created by Fanny Mennen. Her first well known works were in the semi-impressionistic style very popular in the South at that time. In 1974 she was honored with a major solo exhibition at the American National Bank in Chattanooga (now SunTrust). This exhibition traveled widely in the Southern States and launched her studies into the depth and varied character of women. She began a highly prized series of 100 published "Portraits Of Distinctive Women” in 1985 and completed it in 1994. The distinctive women's collection has been published and is copyrighted (1985-1994) in the name of the artist. It is registered in the United States Library of Congress. 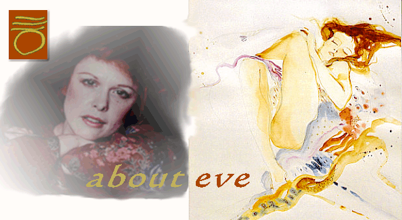 Eve has been the frequent subject of articles in national publications and magazines and on PBS TV. Her work holds many prestigious awards, including a 1973 National "ADDY" (American Advertising Federation's "Oscar") for creativity and the 1975 CAF Silver Medal. Since 1985 her work on women's portraiture has been widely honored and exhibited. Her works grace over 400 personal and corporate collections both private and public in the United States, Japan and Europe. The last thirty years, her theme has been "Evolving Femininity" with most of her paintings rich in the decorative symbolism of "nesting" and in mythological woman's unique intuitive territory. Portraits of distinctive and specific women, whose potent sense of self best focuses on the essence of the feminine spirit, have been vital to the aura of her continuing theme. She develops her own media often using techniques such as dry pigment, fresco and silverpoint which were once used by old masters but which are rarely practiced today. Her lifelong exploration of the evolving feminine spirit takes a new and transforming direction in her series of dialogues and exercises with the ultimate inner master - "The Essential Apprenticeship". Eve Oldham makes her studio home at Notchwood, Lookout Mountain, Tennessee. *The work of eve oldham is protected by copyright & may not be reproduced.